We all want to travel full time – but we also all want to be able to pay for this kind of lifestyle. Countless articles have been written on various life hacks which, once implemented, would allow us to become full time wanderers, paying our own way around the world and there have been reports on how to make the travel your income source. Ideas include blog building and affiliate marketing, among others, however these examples require too much time to develop properly, resulting in off putting all those great adventures we have planned. One company, though, decided go the extra mile and make the travel a required aspect of business functionality and income source. 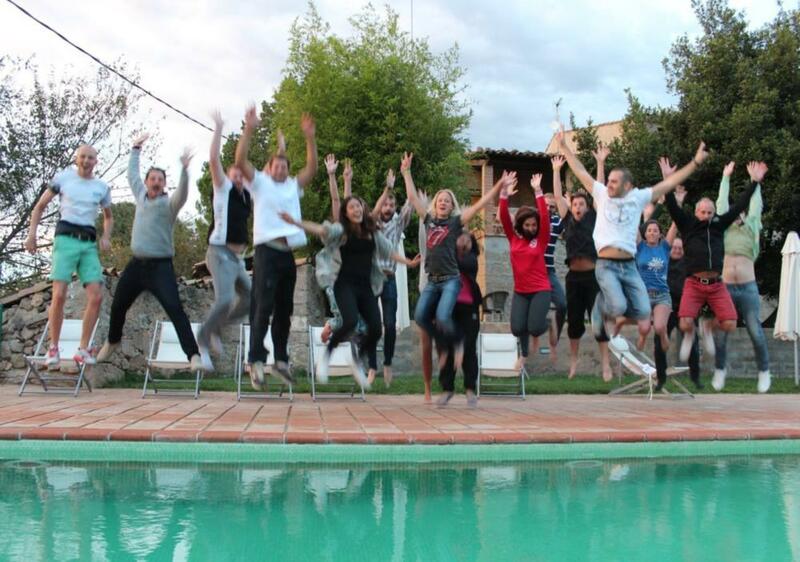 What Workaway Camp did was create a travel agency for entrepreneurs. Essentially, they organize meet ups around the world, where start up founders and its evangelists could get together and spend some time exchanging ideas, inspiring and learning from one another. This not only promotes development and helps everyone reach success, but it’s a great opportunity to meet some interesting people and most importantly, aids in the path to discovering the world and becoming a true global citizen – constructively. Trip destinations and meet up purposes have varied from place to place, starting with the African coast in Morocco to the remote wilderness of Costa Rica. Participants all have the opportunity to indulge in the culture and step into the lives of the locals they are visiting, but they can also choose a trip that’s more focused around seminars and discussion panels. Trekking to Costa Rica, participants had the chance to perfect their downward dog pose and recharge at this Digital Detox before getting back to work in their respective remote offices. In Barcelona, Workaway participants willingly slaved away at their own projects, inspired by the collective energy of productivity. Future trips include one to Kenya, and a little birdy has spread the news that there will be a special guest speaker at this location. Wilson Kipsang, former World Record holder in marathon running, will be speaking about high performance, dedication and hard work. His feat at the London Olympics and various other famous races in cosmopolitans such as Berlin and New York City all are just a fraction of what he has to offer in experience. He’s a true example of what Workaway is trying to inspire in others. The concept of remote working is truly an idea of the future, with more and more companies shifting to this type of culture. It proves efficient, saves on expenditure and captures the essence of today’s demand. People want to be free and inspired to get work done. No one wants to pump results out of their heads because that’s what’s expected, not to mention that the quality of forced work is never measurable with that of an inspired outcome. In our beloved, overpopulated world, what sets us apart from the crowd is our originality and drive. With remote work, our best results are challenged and our competitive side outshines the competition. It is precisely this that sets Workaway Camp apart from everyone else. Reblogged this on Ernest Rudyak's Blog.